Too Cool for School? Let Hometown Help You Get Ready! Know the details: from homeroom to bus number to which clubs your children are in, the beginning of the school year can become information overload. Keep an open line of communication with your children and their teachers to ensure that they are safe, and you know what’s going on. Help them stay focused: now more than ever, children are exhibiting ADD symptoms and increasing technology use. This can make it difficult for them to focus in school, and at home. By teaching them stress coping mechanisms and principles of mindfulness, you may be able to help them find their space while you learn along with them. Go online: Schools have an increasing online presence. Access the school’s website or Twitter or Facebook accounts, be vigilant to watch for announcements and avoid surprises including days off and school closings. Stay in the zone: School-zones are subject to change their speed limits during school hours. Be mindful of this when schools head back into session. Insurance counts: College students may be renting homes for the year. Consider purchasing renters insurance for housing outside of the university and update your insurance for expensive items such as: laptops, televisions and other valuable possessions. Some universities offer free engraving services or a registration service for your electronics if they are reported missing and/or are returned to campus police. Have students take a home inventory at the beginning of the year for furniture, electronics and valuables for insurance purposes. Make the distance count: If your adult student is living at least 100 miles from home for the school year, you may be eligible for a discount on your auto insurance. Call your agent! Keep an eye out for discounts: As school is around the corner, look for student and college discounts. These discounts can save you 10-20% on purchases, so it is a very easy way to save. Update your phone: Update your phone with college campus police and/or administrative office numbers. Removing battery draining apps can help you utilize your phone storage in preparation for a busy school year! 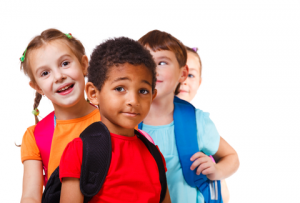 We are a full-service insurance agency and can assess your insurance needs when school arrives! Please call Hometown Insurance at 1-800-568-SAVE (7283) or email service@hometowninsurance.com for helpful information regarding business, home or auto insurance. We’re here to help and do the shopping for you!